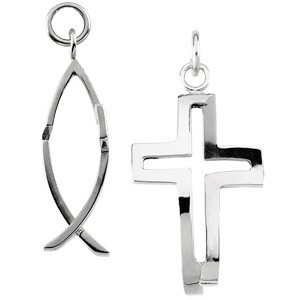 Sterling silver CrossFish pendant, patented by Eyevolver Designs, depicts a fish when viewed from the side, and a cross when viewed from the front. 19x13 mm. Made to order. Please allow 7-10 days to be shipped.